Equilibar precision vacuum regulators are designed specifically to control a highly stable inlet pressure across widely varying input conditions. These regulators show very little effect from either variation in supply vacuum or changes in flow rate. Equilibar precision vacuum regulators work differently than traditional vacuum control valve designs. The Equilibar uses a flexible diaphragm as the only moving part. This diaphragm is used to directly seal against the internal valve orifices. This eliminates the “stiction” commonly found in traditional vacuum control valves that rely on dynamic o-ring or wiper type seals. The friction caused by these seals prevents the regulator from making tiny adjustments. The Equilibar design is frictionless and can control vacuum with very high resolution. Our precision vacuum regulators are machined from premium stainless steel 316/316L dual certified bar stock. They may also be machined from PVC, CPVC, PVDF, and PTFE materials for reduced cost, lighter weight, or improved chemical resistance. The precision vacuum regulator is delivered with a small set-point regulator on top for convenient knob adjustment. Sizes range from 1/4″ up to 1″. Equilibar high flow vacuum regulating valves offer unique performance advantages for pipe sizes up to 4″ in size. The patented technology employed ensures extremely fast and stable response that is mechanically native, with zero hysteresis or deadband. PVC is our most popular body material for air applications, whilst 316L Stainless Steel is available for chemical applications. Most vacuum regulators are engineered with FKM Viton diaphragms although PTFE is also available for highly aggressive chemical applications. 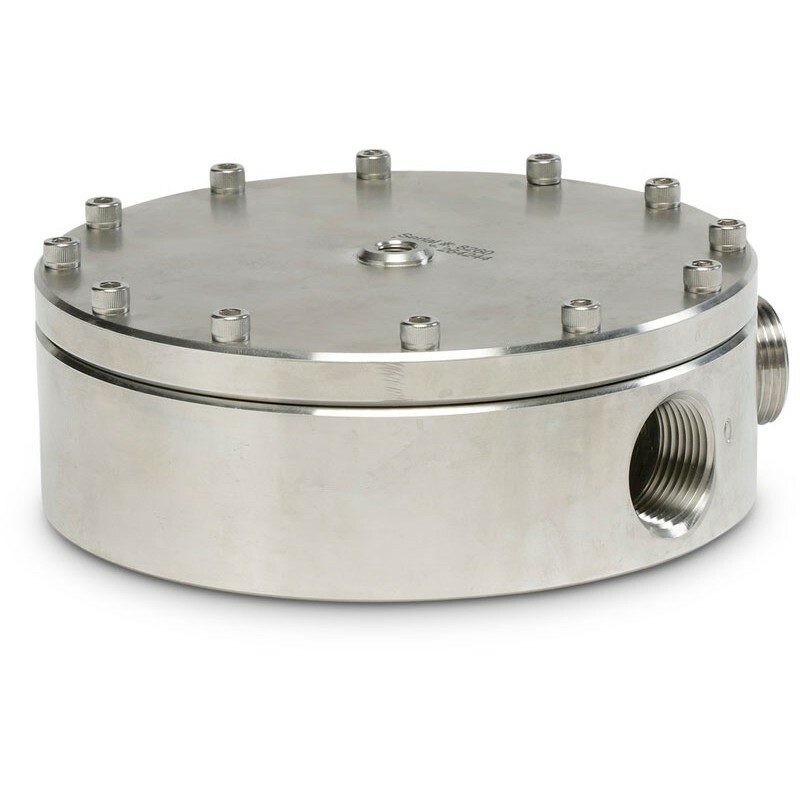 Overcome the problems from using Vacuum breakers with a Equilibar EVR, this back pressure regulator will hold the vacuum at setpoint regardless of changes in the system flow rate or changes in local atmospheric pressure. For more information reach out to one of our experienced engineers.